Ever since house calls fell out of favor, most medical care has been delivered in hospitals and doctor's offices. But apply smartphones and AI to the situation, and that need not be the case, at least not for primary care. 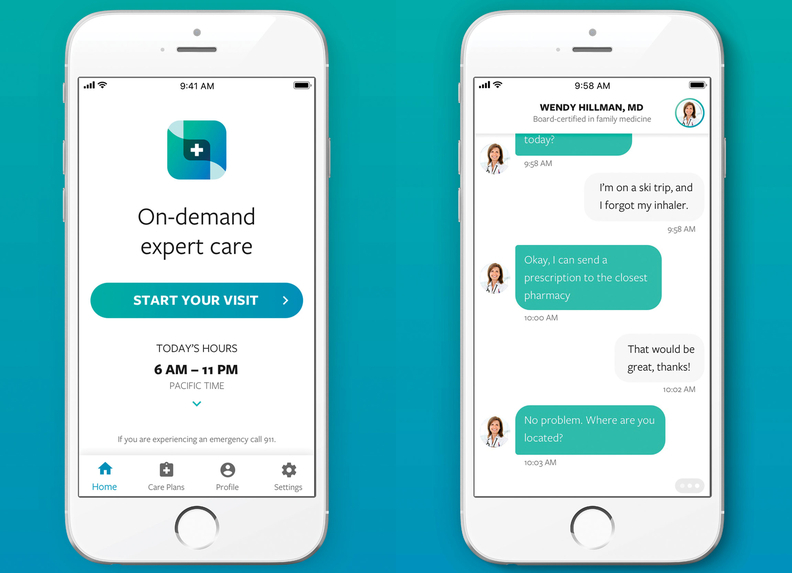 The company 98point6, for one, wants to take primary care virtual, through text conversations. The whole process will be more efficient, according to the company, not only because of streamlined communication but because of an assist from a combination of AI and human interaction. “We've set out to dramatically augment the primary-care physician with deep technology by delivering an on-demand primary-care experience,” said Robbie Cape, CEO and co-founder of Seattle-based 98point6. For patients, the experience begins with 98point6's automated assistant, which asks what's wrong. Behind the scenes, natural language processing and machine learning analyze the chat to narrow in on the relevant topic, allowing the assistant to ask questions that will give human physicians the information they need to diagnose and treat the problem. The software itself isn't handling treatment—a physician is. After the initial narrowing, the software presents the case to 98point6's board-certified physicians, all of whom are permanent employees of the company. In anywhere from a few seconds to a couple of minutes, the physician connects with the patient, messaging to ask any additional questions—using video and photos, if necessary—and then will submit an electronic prescription, order labs, or recommend the patient see someone in person. But that last option is rare: More than 95% of cases are resolved virtually. “Efficiency is a big gain out of this,” Mahmood said. From a cost perspective, provider organizations benefit, he said, because there's less human time on the phone. Patients, meanwhile, benefit from greater access to care. “We're trying to give patients a level of access to medical expertise and care directly in their pockets so they're not going to Google to answer those questions,” Cape said. After each encounter, a patient gets a care plan in the 98point6 app, and the information goes into 98point6's electronic health record. Patients can request that their visits be shared with outside providers. 98point6 is currently focused on the self-insured employer market. Employers pay a single fee for unlimited access for their employees. “That's key,” Cape said, since a single fee doesn't limit patients' use of the service. 98point6 also has a direct-to-consumer offering, which costs $20 for the first year and $120 per year after that. As the company grows, it will also come up with new ways to engage patients.